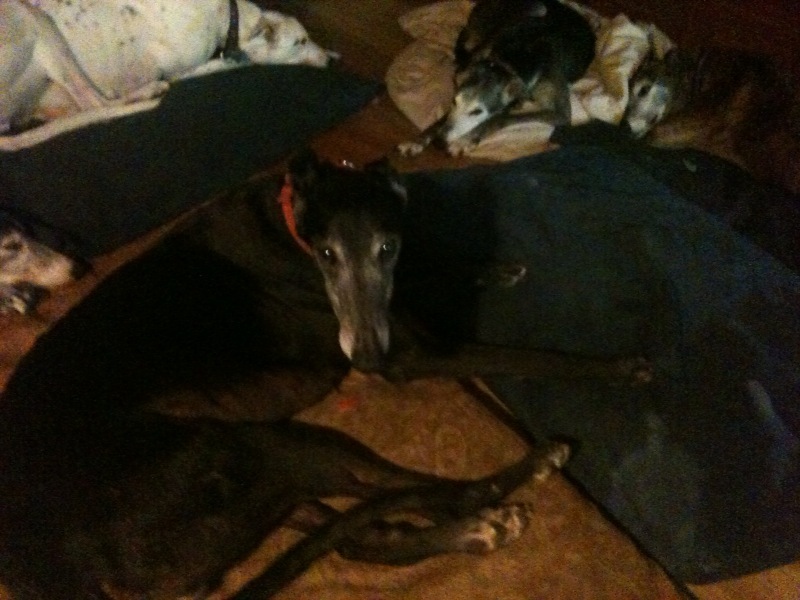 Pepper is a 7 year old, black, male greyhound who never raced. He is small dog and cat friendly. He is a very sweet boy who gets along good with the pack at Lesley's house. No kennel needed for this boy. He is also a smiler. Pepper was previously treated for heartworms, but is all clear now. This boy had a rough life till DJ found him and brought him back to health. Unfortunately, due to life changes Dj cant keep him anymore, so he is here. Anyone interested in a ready made pet, Pepper is it!